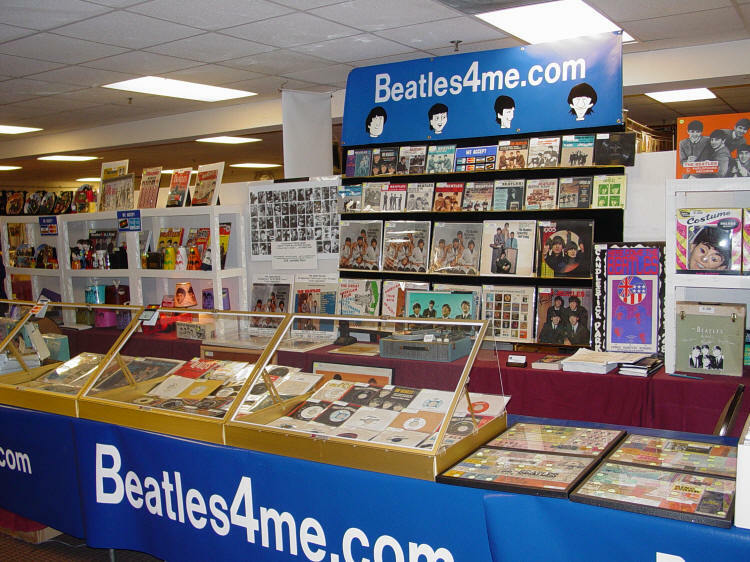 The Fest For Beatles Fans Convention for 2019 is scheduled for March 29th, 30th and 31st at the Hyatt Regency in Jersey City, NJ, overlooking NYC on the Hudson River, where we will once again have on display at our mobile Beatles Store some of our Best & Rarest Beatles Vinyl, Beatles Records, Beatles Collectyibles, Beatles Memorabilia and Beatles Autographs where you can Shop Beatles for up to 3 days Straight! As in the past, our 4 large display tables are located as soon as you enter the GIANT INTERNATIONAL BEATLES MARKETPLACE. We are proud to offer the Best Selection at this year's The Fest For Beatles Fans Convention. Available for viewing will be the Largest Display of Original Beatles Records, Memorabilia & Autographs only at our tables...please stop by and visit us! Here's only a portion of our extensive display at the show. Look for us at this year's The Fest For Beatles Fans Convention!!! Remember, the The Fest For Beatles Fans Convention for 2019 is scheduled for March 29th, 30th and 31st. Only the Rarest & The Best of Beatles Records, Memorabilia and Autographs are our specialty at www.Beatles4me.com. As time permits, we update our website with new Beatles Inventory as it is received. Also don't forget, we Buy & Sell Original Beatles Records, Beatles Memorabilia and Beatles Autographs. Click the link above and come see our "Extensive" Beatles Website, our stop by and visit us at this year's The Fest For Beatles Fans Convention!! !